Apartment Living 101: Prepping for a Trip! Preparing to take a trip is fun and exciting! Getting lost in dreaming of white, sandy beaches, exploring ancient ruins or visiting family across the pond is the best part of anticipating an upcoming trip! Planning for your apartment to be vacant during your getaway, is unfortunately not. Ayre & Oxford have some trip-prep tips to help stay organized so you can have peace of mind while you're away. Notify your landlord of when your trip is planned and how long you will be gone. Give your landlord your emergency contact information so they can reach you if a problem arises. Arrange to have your rent, and any other bills that are due during your vacation, paid automatically through your bank or pre-pay them if possible. Notify any daily deliveries (ie: newspapers, magazines, postal office etc.) that you will be away and to place a hold on them until your return. If you're travelling to a foreign country and plan on using a credit card while there, notify the credit company of where you're going and for how long. Credit companies will often 'red flag' an unexpected purchase made outside the card owner's country and put a stop on on your card. Let a friend or family member know where you're staying and provide contact information so they can reach you in case of emergency. Cleaning your apartment before you leave will make your return home all the more enjoyable! You might even want to consider prepping and freezing a meal ahead of time, so you have little to no prep once home. Don't overpack! Baggage weight limits have become quite strict recently and overage fees aren't cheap. Try to pack items that you can wear more than once; check the weather ahead of time and only bring a few items for outside of the weather 'norms'; if you'll have access to laundry facilities - pack light and plan to use them! Have a packing list. 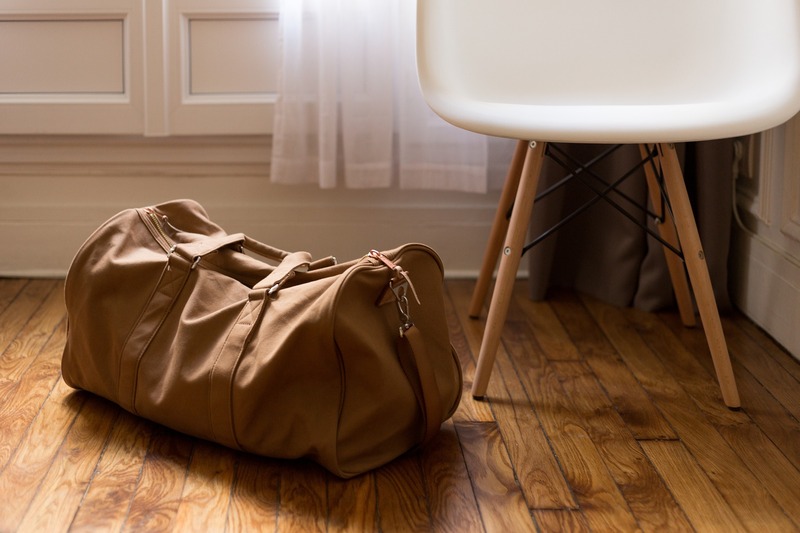 If you're going on a long trip, chances are you have more than the usual items to bring with you and it's easy to forget one or two small items. Having a checklist will ensure you aren't sitting at the airport, wishing you hadn't forgotten your phone charger! Leave room for things you buy on your trip. If you think you'll be making some purchases while you're away, don't pack your suitcase to the brim - leave some room (and weight!) for new items. Last but not least, as you're leaving your apartment don't forget to turn off lights, close & lock all windows & doors and adjust the thermostat (if no people or pets will be home) so the A/C or heat isn't on full while you're away. If you have any questions about leaving your apartment for an extended period, please don't hesitate to contact us!